Decorating on this Christmas holiday can be so much exciting but one must think about the hazards that could get to you. It is much better to be knowledgeable than risking your life putting all the decorations you want without thinking about your safety. Who would really think about the hazards that can happen when you are all too happy about the holidays? 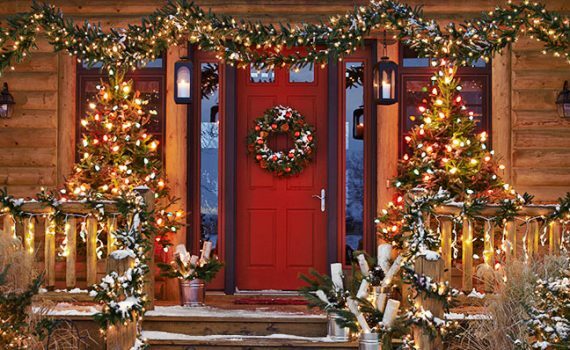 Check this surprising hazards before you decorate on this holiday season. Fall out while putting up all those decors. Studies shows that one-third of the decorating related injuries are from falling out. Before you climb up, make sure to inspect every parts of your ladder and check the weather. Electrical fires. Always use a GFCI outlet and the right kind of extension cords. Electrical shocks and fire might be the worst kind of hazard you may ever experience from putting up all you holiday decors. Christmas tree might fall out to you. There are about 1000 people every year who gets injured by putting up their Christmas trees. Make sure that you have a sturdy tree stand and use a stepladder when climbing out the highest branches of the tree. Kids might choke in small ornaments. Always keep in mind that little kids eat what they see, especially the decors that look life food or candies. Set aside and organize your decorations. Candle fires. Candles are one of the top causes of fire. There is an average of 12,000 fires per year, with Christmas eve, and New Year’s Day being the top three days of the year for candle fires. Getting cuts. Most people end up cutting themselves while getting frustrated trying to open a package. Get flocking injuries. Any member of your family might get a lung irritation or get their asthma triggered because of the artificial snow sprays. It can be better if you just avoid using it as it can also be poisonous to your pets.